On Friday, April 23, members of the Public Speaking Class offered by C.O.R.E./Labor Source will be doing a small bit of reading at the Brewing Market Coffee Shop in Longmont. 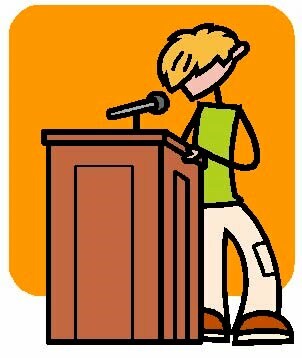 The Public Speaking Class takes a step by step approach in order to allow students the maximum opportunity to benefit. The first few classes involve discussing and presenting examples of various public speaking formats (monologues, one-act plays, poems, short stories, essays, confessionals, etc.). Then, students work on individual projects writing their own "pieces" to read. Once the written pieces are completed, students practice speaking them aloud. 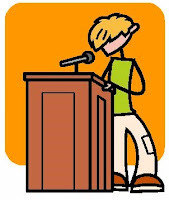 Other students offer constructive critiques on enunciation, articulation, volume control, eye contact, pacing, and other elements of public speaking. Everybody is gentle with their criticisms, because they all know they will have a turn to be critiqued as well. The next step of the class is to practice speaking in front of others. The current group of students has already had a "rehearsal" where they presented to another class at C.O.R.E./Labor Source, and now, they are ready to go public and demonstrate what they have learned. The key component of Imagine!’s mission is to provide opportunities to the individuals we serve so they may engage fully in their communities. This class embodies that mission, and I offer my hearty congratulations to all involved.